WASHINGTON/RAMALLAH (Reuters) - The United States on Friday halted all funding to a U.N. agency that helps Palestinian refugees in a decision further heightening tensions between the Palestinian leadership and the Trump administration. State Department spokeswoman Heather Nauert said the business model and fiscal practices of the United Nations Relief and Works Agency (UNRWA) were an "irredeemably flawed operation." But under Trump, Washington has taken a number of actions that have alienated the Palestinians, including the recognition of Jerusalem as Israel's capital. That move was a reversal of longtime U.S. policy and led Palestinian leadership to boycott the Washington peace efforts being led by Jared Kushner, Trump's senior adviser and son-in-law. The last Palestinian-Israeli peace talks collapsed in 2014, partly because of Israel's opposition to an attempted unity pact between the Fatah and Hamas Palestinian factions and to Israeli settlement building on occupied land that Palestinians seek for a state. 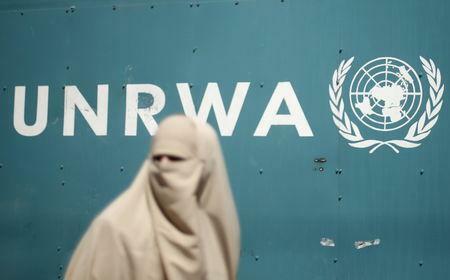 UNRWA spokesman Chris Gunness told Reuters earlier this month that UNRWA's support would be needed as long as the parties failed to reach an agreement to end the crisis.